Morning glory (Ipomoea spp. ): growing, planting, caring. A twining climbing plant with amazing blue flowers. Scientific name : Ipomoea spp. Ipomoea is the largest genus in the flowering plant family Convolvulaceae, with over 500 species. It shares its common name with a few other species in related genera. They are annual and perennial twining climbing plants, with spectacular, colorful flowers. Ipomoeae are voluble climbers forming a vast genus of about 500 species. Among them are the sweet potato Ipomoea (Ipomoea batatas), the Ipomoea tricolor, the ivy leaf Ipomea (Ipomoea hederifolia), the volubilis (Ipomoea purpurea) or the red-flowered Ipomea (Ipomoea coccinea) ). Native to North and South America, these vigorous plants grow quickly and can climb very high. The Ipomea has a light port, trilobate leaves, thin stems and flowers pentagon-shaped, whose many colors delight the Mediterranean gardens. Perennial plant in the tropics, the ipomée does not support frost and is grown as an annual in Northern Europe. Did you know? The sweet potato is the tuber of some species of Ipomoea -Ipomoea batatas and its cultivars such as 'Sweet Caroline'. If you have sown this species, know that in September-October, your Ipomoea will have grown beautiful tubers that you can harvest like potatoes. If your morning glories are not edible tear them out at the end of the season. 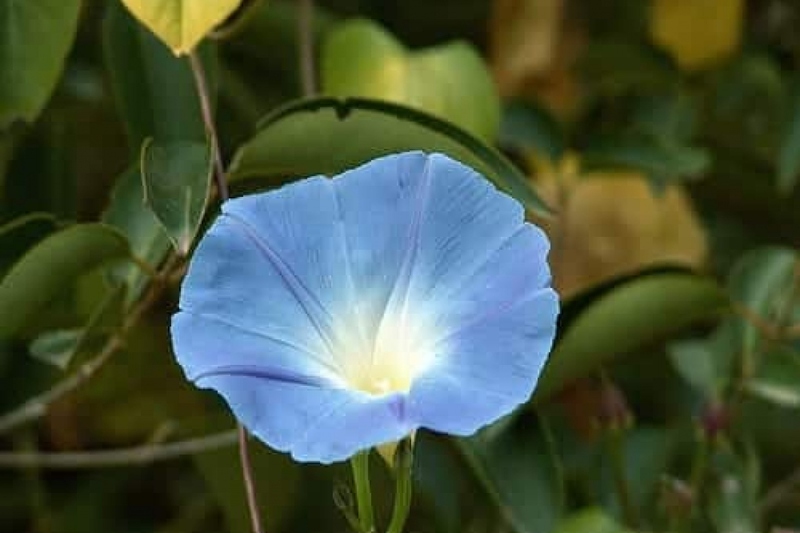 The morning glory, cousin of the bindweed is vigorous, and tends to produce seeds easily. In the fall, it will spread around it many seeds which can be a little invasive! To avoid it, you can pull it out before the seeds dry, taking care not to drop pods.